Lars Rood, in addition to having an unbelievably cool name, is a veteran youth minister who currently serves as Lead Youth Minister at Highland Park Presbyterian Church in Dallas. He has degrees from Fuller Seminary and George Fox Seminary, and has also served in youth ministry at several large churches on the west coast. He is nearing the completion of the dreaded and wonderful ordination process of the PCUSA. You can find him over at www.larsrood.com where he blogs regularly, and he's also working on a book for Zondervan on finding resources for youth ministries. Lars told me in an email that he loves working with youth, loves the church he serves, but on many Sunday afternoons he requires a 2 hour nap because he is so drained from a full morning of teaching and socializing. In other words, he is very gifted, very dedicated, introvert. 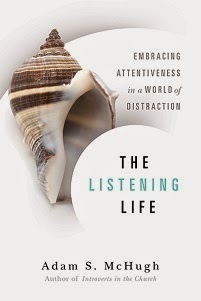 What follows is part I of an interview I conducted with him about what it's like to be an introvert in a typically extroverted profession, perhaps even the ministry that most exalts extroversion. Adam: I've seen dozens of youth pastor job descriptions that use words like "dynamic," "energetic," and "charismatic" to describe the person they're looking for. Do you think that churches consider extroverts to be the "ideal" youth pastors? 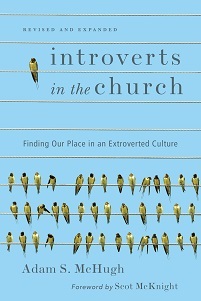 Lars: I think Churches, students and families generally think that extroverts are the best fit for a youth pastor. It’s part of the deal in youth ministry that there is a perception that the “fun, outgoing, good-looking, gregarious” youth pastor is the one that is “attractional” to kids and therefore that’s the stereotypical model. Generally too the baseline indicator in the “health” of the youth ministry is whether or not students “connect” with the Youth Pastor and that is almost always indicated by the youth pastor having a dynamic extroverted personality. I don’t believe this is a good or even a true indicator but it is the case. Adam: As an introvert in youth ministry, have you been misunderstood by students, parents, or other people involved in the ministry? Lars: Absolutely. I’ve been accused of being aloof, unconnected, not caring, unreachable, not hard working and a whole host of other things. It’s usually from someone who doesn’t really know me at all and doesn’t know how I run a youth ministry program. It’s very difficult when peoples' expectations are that you will be the superstar attractional youth minister and everything revolves around your personality and energy. I’m 100% against the idea of anyone being a “Superstar” in youth ministry. If your ministry is built on your personality you have got to realize that things will tank when you leave. Adam: I've read about a fairly new movement called contemplative youth ministry - could you explain how that differs from other forms of youth ministry, and how that movement might be advantageous for introverted youth pastors and introverted students? Lars: Contemplative Youth Ministry is a focus upon a deeper connection with God and with students' connection with him. It is not a ministry form that needs a specific outgoing energetic leadership but instead relies upon a depth of experience and focused time with God. The difference between this style of ministry and other more traditional models is that it takes the focus off the youth pastor and puts it where it should be which is on God. It encourages more of an introspection of faith. In my opinion it is a safer model of ministry for introverts because with this model you will generally not be forced into a role that you are uncomfortable with. I asked Lars two more questions, which I will post tomorrow, and check back next week for my interview with Kent Annan, introverted missionary and author of Following Jesus Through the Eye of a Needle.